I knew Patagonia would be incredible, but I can honestly say that it totally and utterly surpassed all of my expectations. It really is another world down there, where you can be so perfectly free and alone with nature. I so often found myself gazing open mouthed at the breathtaking scenery before me: intimidating peaks, gargantuan glaciers, and curious creatures of all shapes and sizes, all the while experiencing exhilarating and ever-changing elements. 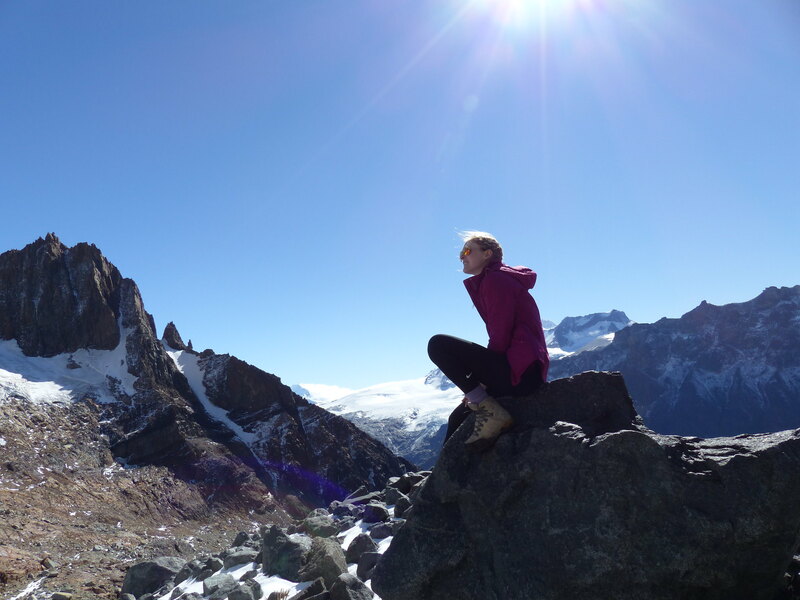 Gazing up at FitzRoy & down onto the Southern Patagonian Ice Cap at Piedra Negra. As Swoop’s wildlife and cruise specialist, my trip in March 2016 naturally had a focus on creature spotting and adventures on water, as well as encompassing some of Patagonia’s iconic trekking routes. I crammed as much as possible into my three weeks: kayaking with sea lions and dolphins in the Magellan Strait, exploring the Chilean fjords, glaciers, and Cape Horn on an adventure cruise, trekking the famous trails in Los Glaciares and Torres del Paine National Parks, ice hiking on Perito Moreno glacier, horse riding gaucho style across the Patagonian steppe, humpback whale watching in Francisco Coloane Marine Park, and a spot of puma tracking, topped off with stays in incredible hotels, lodges and eco camps. After a long journey, sweetened by bird’s eye views of the volcanoes of the Chilean Lake District from the plane, I finally touched down in Punta Arenas, and began my Patagonian wildlife adventure. 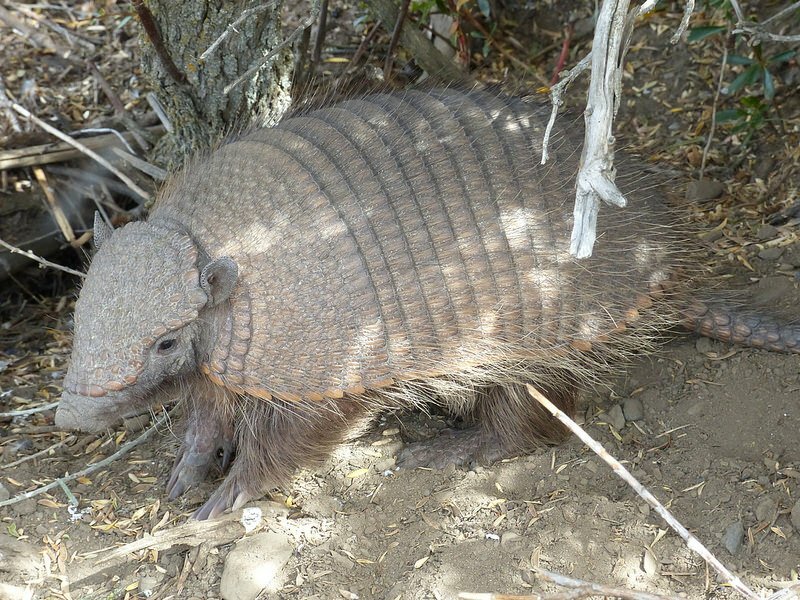 You can read here what my Top 5 Wildlife Experiences were, but looking back on the whole trip, I realise now that I saw so much more than I expected to, not just in the obvious places, but in moments when I least expected, like when a hairy armadillo popped out to say hello en route back to my hotel room! My trip began with a few days exploring Punta Arenas, and kayaking along the Magellan Strait among seal lions and dolphins, before boarding an adventure cruise through the Chilean Fjords, down to Ushuaia. I visited stunning glaciers and remote islands and forests that are largely unaccessible and untouched by humans, as well as getting to land on (a rather wet and windy) Cape Horn. Getting up close to a large colony of Magellanic penguins was one of the wildlife highlights of this trip, closely followed by three separate humpback whale sightings, and numerous birds. Views over Ainsworth Bay, Chilean fjords. Next up was a three day hike on the iconic trails of Fitzroy and Cerro Torre loop, to Piedra Negra, Laguna de Los Tres, and Laguna Torre (where I was able to film a Magellanic Woodpecker up close), followed by an ice hike on Perito Moreno Glacier, and a stay at a luxury lodge near Calafate for some horse riding …and unexpected armadillo spotting! 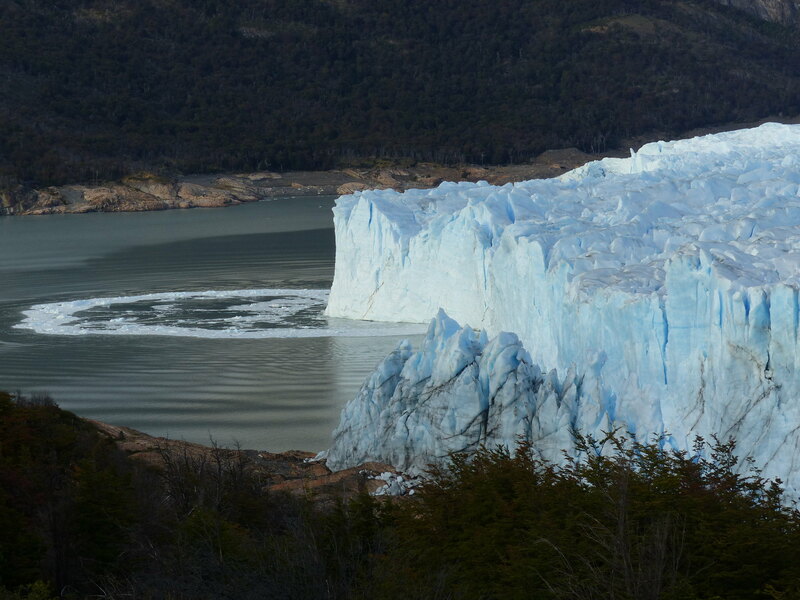 Perito Moreno glacier, post calving. 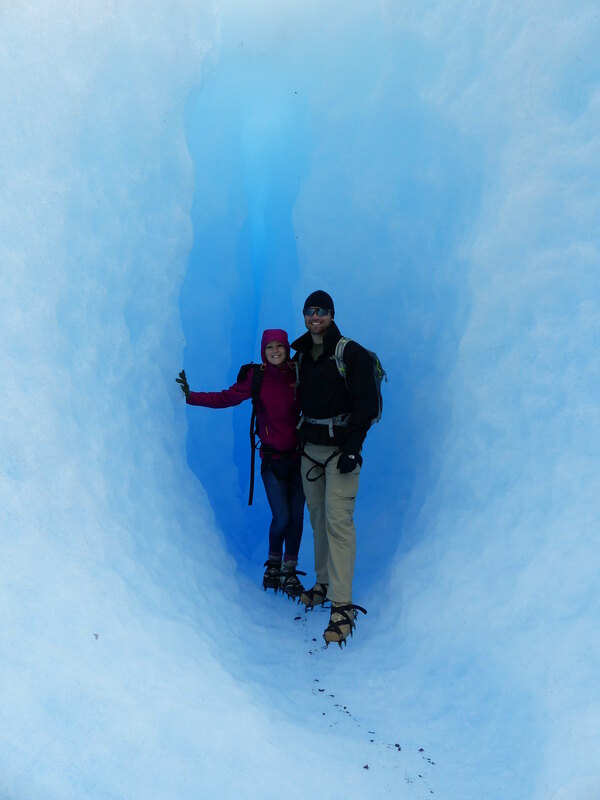 Perito Moreno Glacier – ice cave. 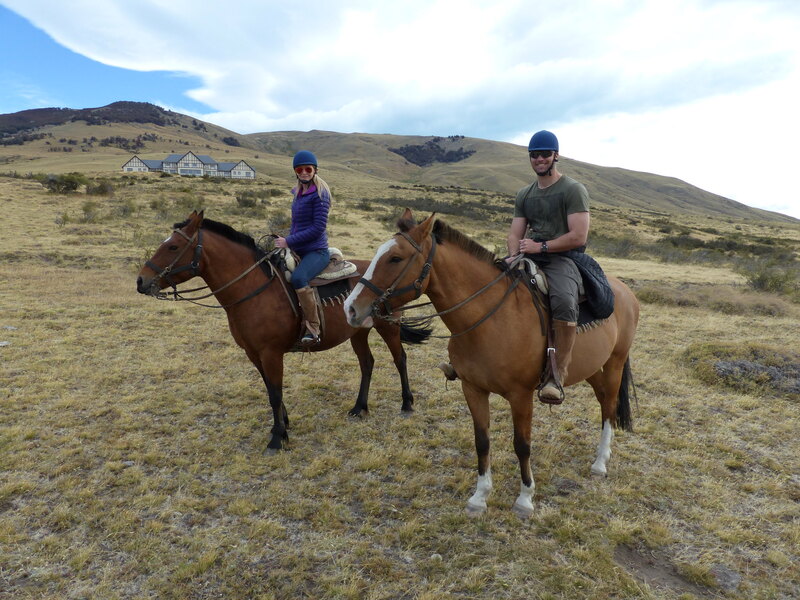 Horse riding at a luxury lodge near El Calafate. In front of Fitzroy at Laguna de los Tres. As if I hadn’t been lucky enough with unexpected whale sightings already, the next part of my trip took me to to Francisco Coloane Marine Park for a dedicated humpback whale watching trip. After braving the choppy waters rounding the Froward Cape, we arrived in this very special area of sheltered channels in the Chilean Fjords, where hundreds of humpback whales come to feed between the months of December to April. Humpback Whale breaching, Francisco Coloane Marine Park. To be bobbing around in tranquil waters, surrounded by up to 20 whales at a time, breaching, spraying water into the air, and showing off their tail flukes, within metres of our boat, was a truly magical experience that will stay with me forever. A huge harem of sea lions collecting around a humungously hariy and intimidating alpha male was one of the additional wildlife treats of this trip. 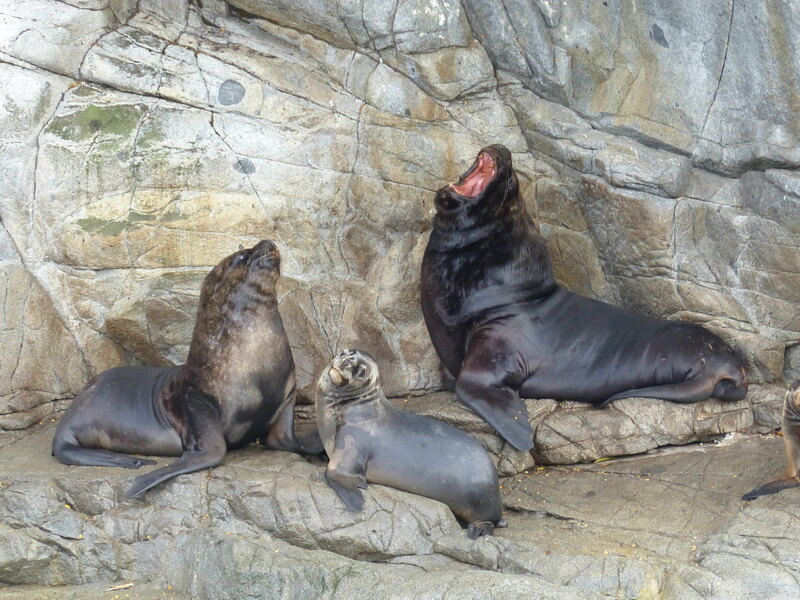 Alpha sea lion and his harem in the Chilean Fjords. Last but not least, it was off to Torres del Paine, for some long awaiting puma spotting. I was greeted on arrival by enormous herds of guanacos, peacefully grazing with the stunning backdrop of the towers, and with just one early morning and one late afternoon scheduled for puma spotting, my adventure ended with two separate sightings in 5 minutes – two females, each with cubs – what a privilege. 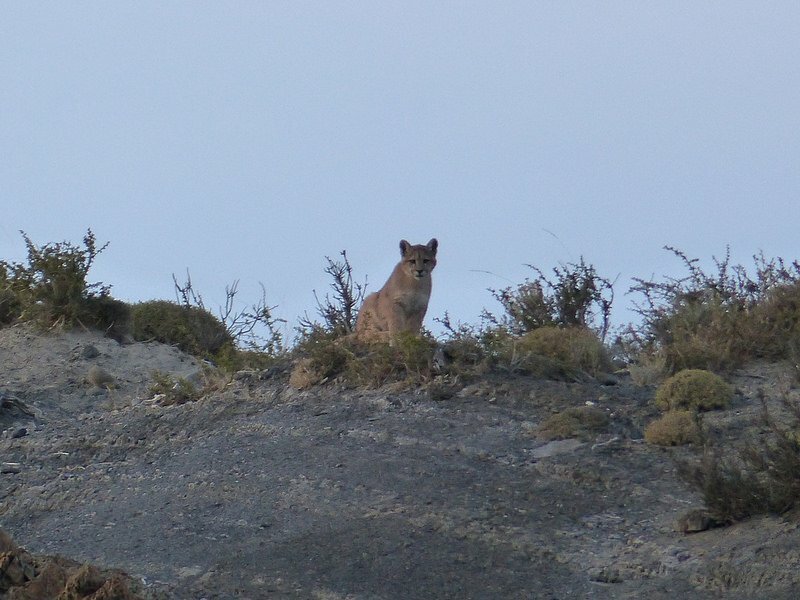 Puma female, Torres del Paine. 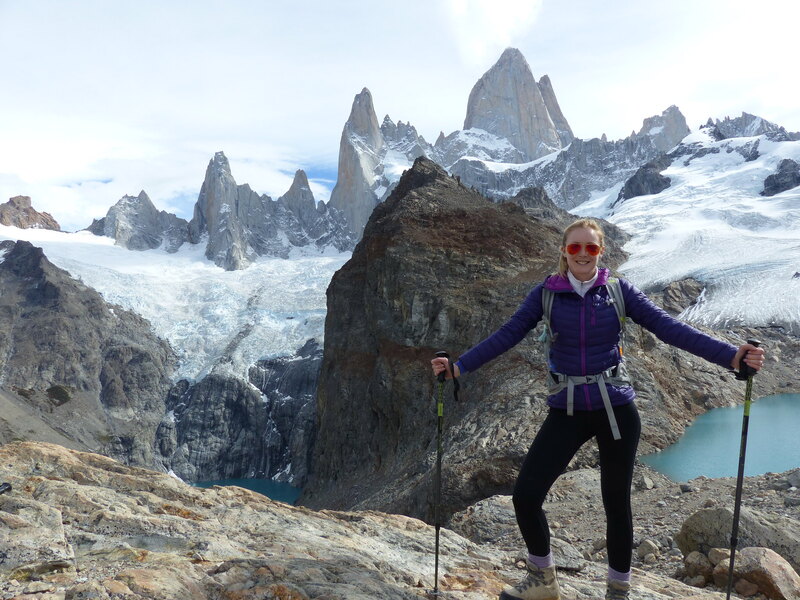 Based from several different hotels, eco camps and luxury lodges, I then explored the iconic hiking trails of Torres del Paine, trekking to the Grey Glacier, and the famous towers with some gaucho led horse-riding across the steppe. Along the way I bumped into numerous other unexpected creatures, including hog nosed skunks, foxes, flamingos and caracaras. 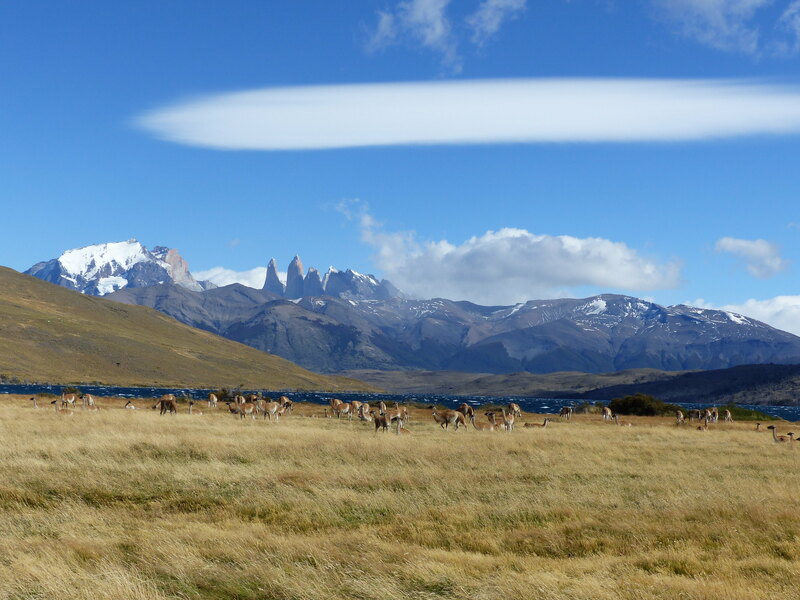 Herd of guanacos, Torres del Paine National Park. For much more detail on the incredible wildlife Patagonia has to offer, read my Top 5 Wildlife Experiences blog post, and to see all of the photos of my trip, click on the images below. 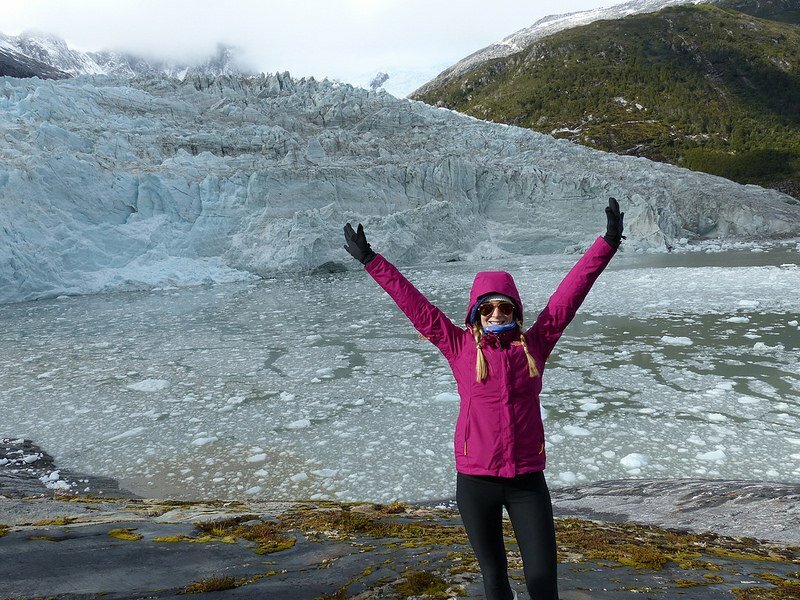 I tasted just a little of the immense variety the region has to offer including horse back riding, kayaking, a cruise along the fjords and hiking in Torres del Paine. 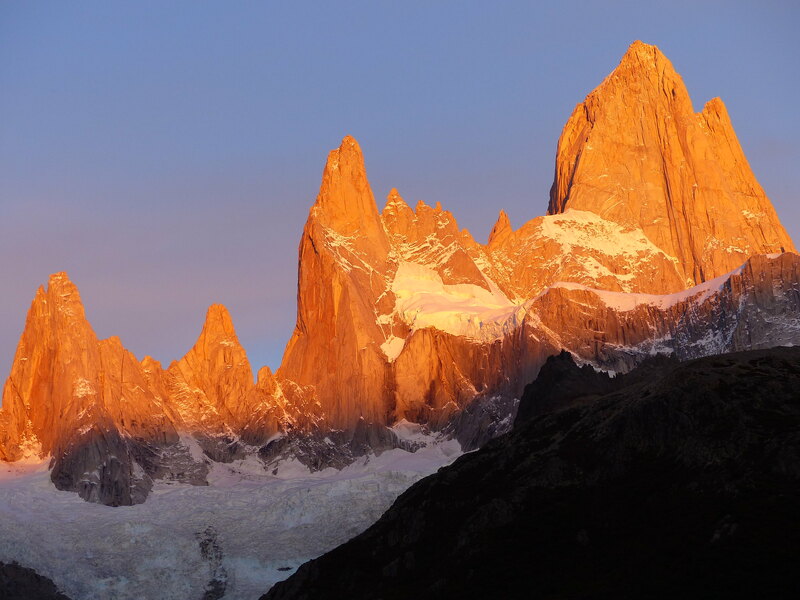 Contact us if you would like us to help you arrange your own unforgettable Patagonian adventure. 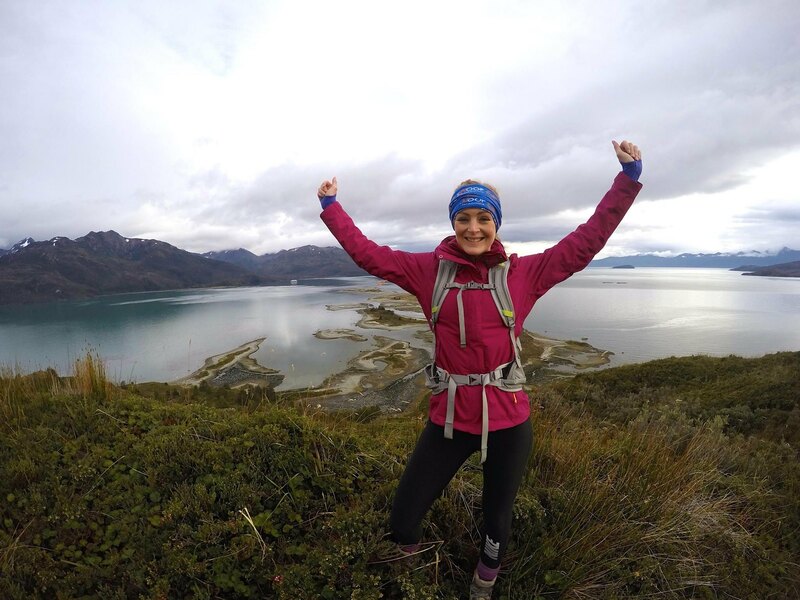 This entry was posted in Reviews and tagged horse riding, kayaking, Patagonia Cruises, Perito_Moreno, Torres del Paine, wildlife on 13th May 2016 by Chloe O'Keefe. Chloe is Swoop's resident wildlife fanatic! She has travelled all around the globe in search of creatures great and small... tracking the 'Big 5' in South Africa, scuba diving with Manta rays on the Great Barrier Reef and whale sharks in the Indian Ocean, and most recently spotting leopards, endangered sloth bears and blue whales in Sri Lanka. 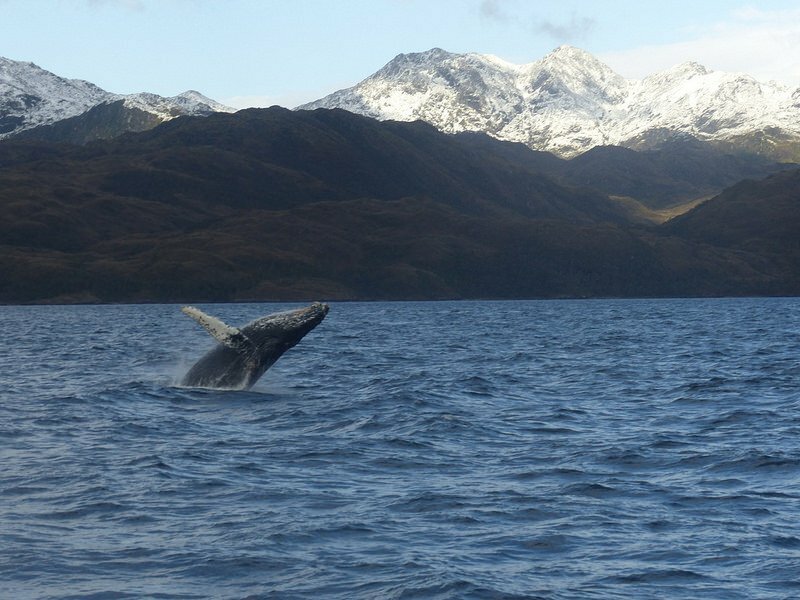 In March 2016 Chloe ventured to Patagonia to track the elusive puma, kayak with humpback whales, and discover more about Patagonia's flora, fauna, and hiking opportunities.